Flak towers (German: Flaktürme) were modern fortresses constructed by German laborers - paid and slave - during World War II in several cities throughout Europe. Many students of the war are familiar with the three giant Berlin Flak Towers (Flakturm I – Berliner Zoo; Flakturm II – Friedrichshain; Flakturm III – Humboldthain), but they may not be as familiar with other Flak Towers. 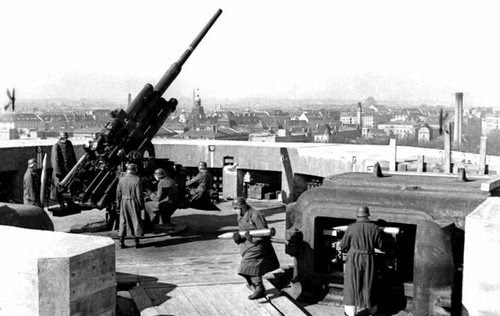 There also were huge Flakturme in Vienna, Austria, for instance. 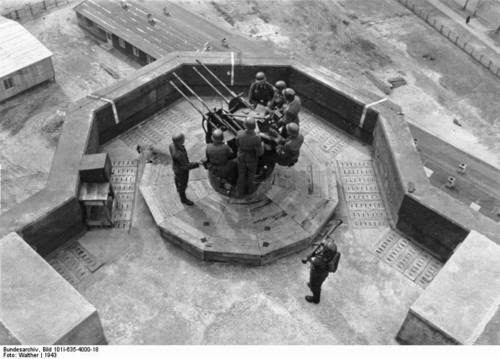 Many smaller flak towers were built in relatively remote areas such as on the Heligoland peninsula, guarding French airfields, and securing key points such as naval bases - they could double as lighthouses or airport control towers. 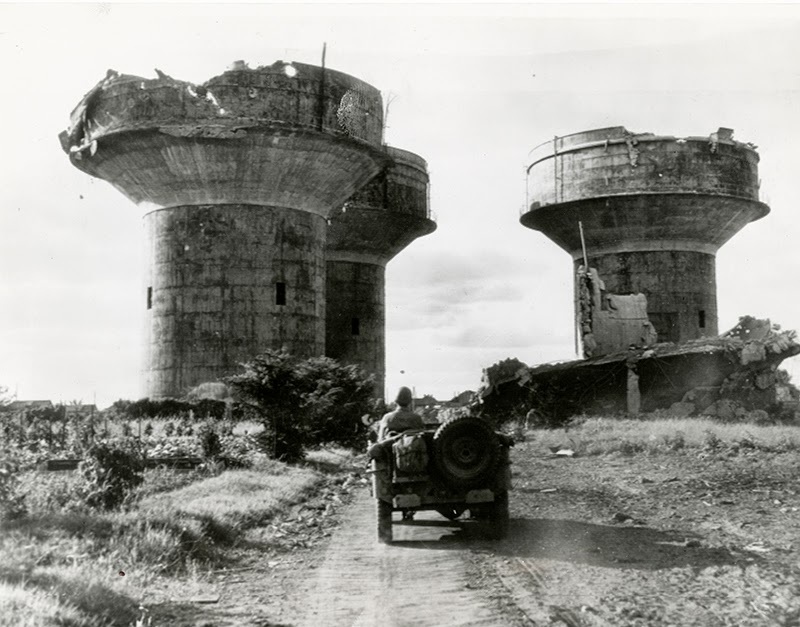 The lesser known flak towers certainly were not massive like the ones in Berlin or Vienna - but they were functional and effective nonetheless. In brief, Flak Towers are complexes of gigantic, above-ground, anti-aircraft gun blockhouse towers constructed from 1940 to 1945. Aside from Berlin and Vienna, examples are located in Stuttgart and Frankfurt. The biggest were both defensive and protective in nature, forming virtual cities that included infirmaries and shelters for the people of the surrounding area. 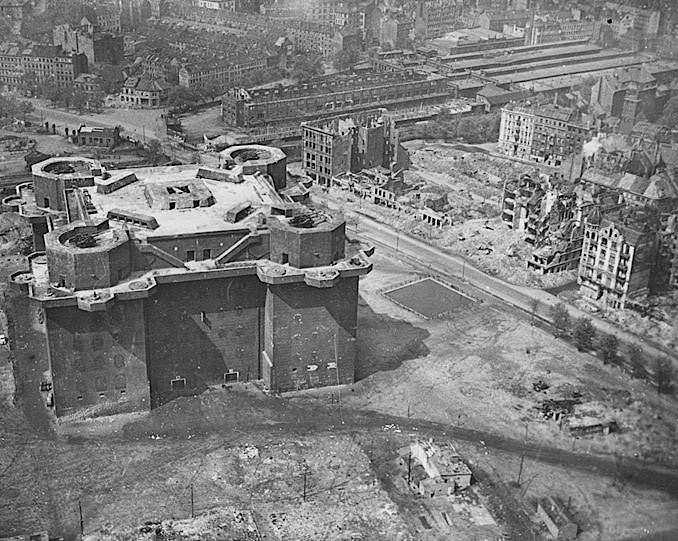 A Berlin flaktower could hold 20,000 people in complete safety during a 1,000-bomber raid. 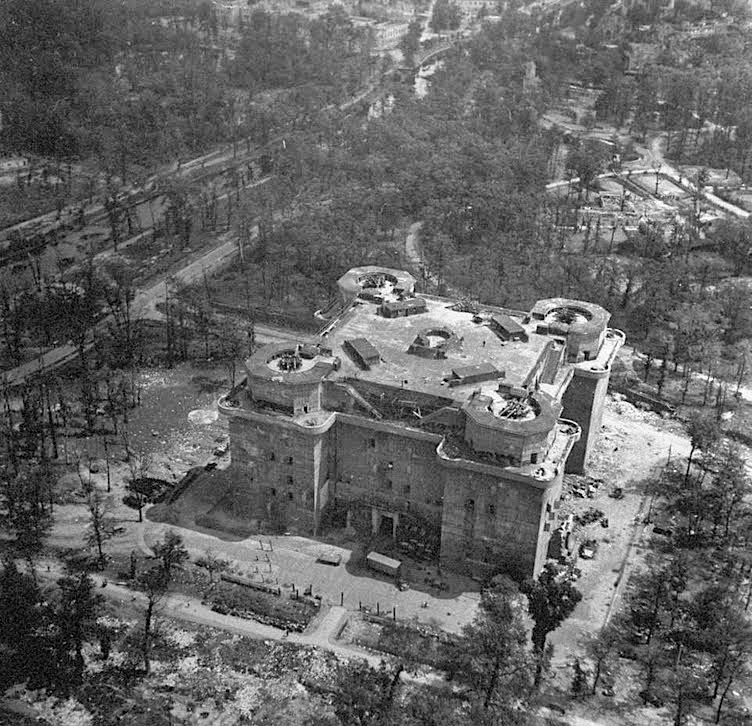 The flak towers also were bristling with heavy antiaircraft guns on the roof and on cupolas. Stockpiles of ammunition was kept safely in the interior and lifted to the guns by hoists. 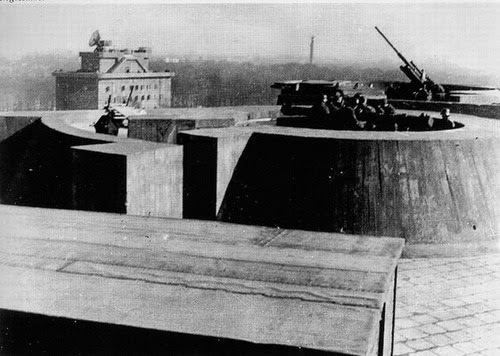 A flak tower in 1945. 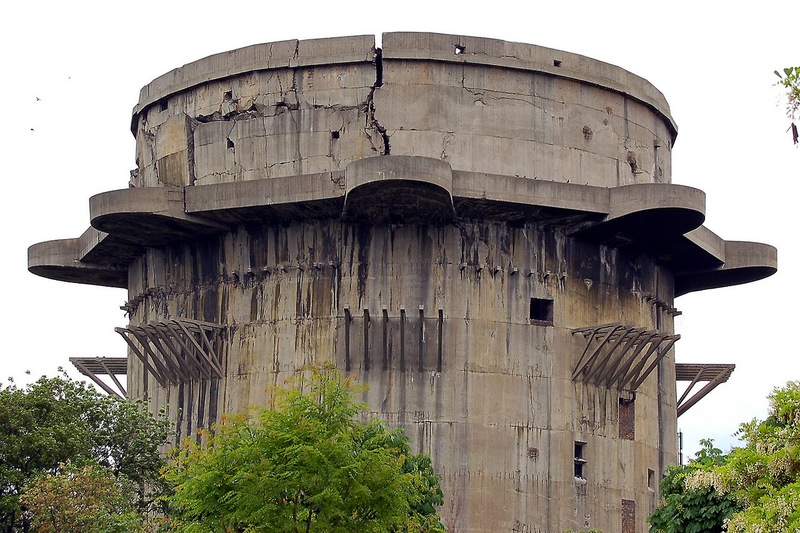 The major Flak Towers still exist and are largely intact. They can be visited, even the ones buried under rubble, if you know how and are an adventurous sort - it can take some digging. 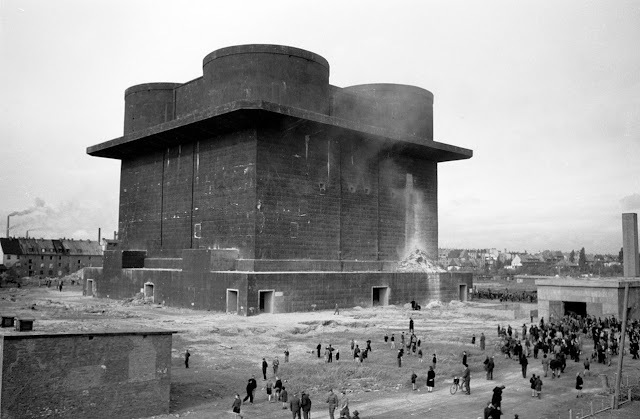 Efforts were made by the British and French to destroy the largest flak towers immediately after the war, but they had only middling success: the Flak Towers are simply too massive and well-constructed to be dismantled or destroyed with any kind of economy of effort. Some flak towers were only partially destroyed, others simply buried intact to form man-made hills. Germans were experts at the use of reinforced concrete, and this art found its apotheosis in the construction of the Flak Towers. 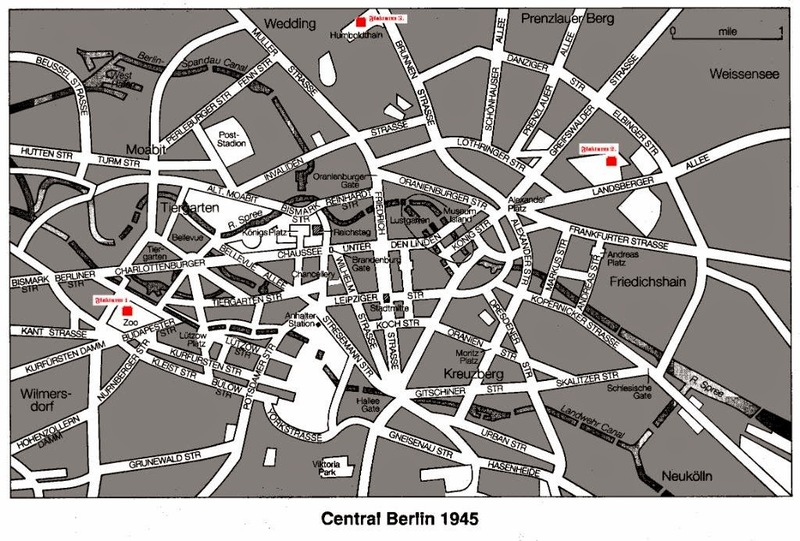 The Berlin Flak Towers, marked in red. 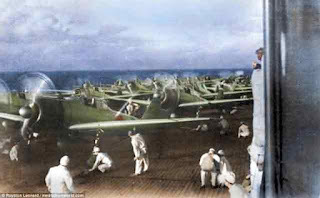 They were placed in a triangular pattern in order to better target enemy bombers. 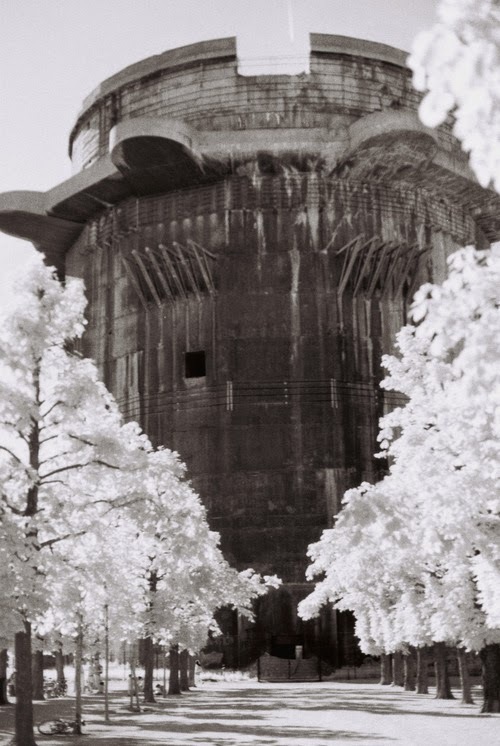 The Flak Towers were not defeated during the 1945 fighting and were bypassed by Russian ground troops. Plans existed for the construction of additional flak towers, but each tower took immense effort to construct - railroad timetables for the entire German railway system had to be adjusted for raw material deliveries. The war ended before they could be begun. Some of the historical pictures on this page are from the German Federal Archive. 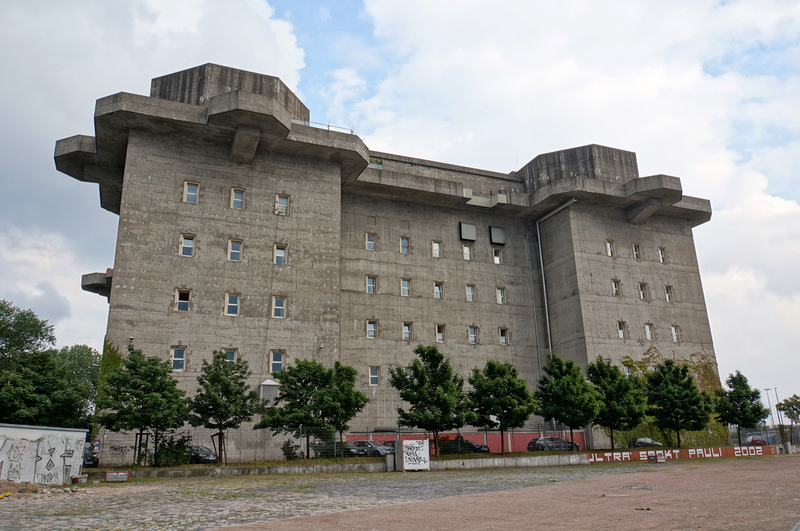 A repurposed Friedrich Tamms flak tower in Hamburg, Germany. When one thinks of architects in the Third Reich, the first name that springs to mind is Albert Speer. 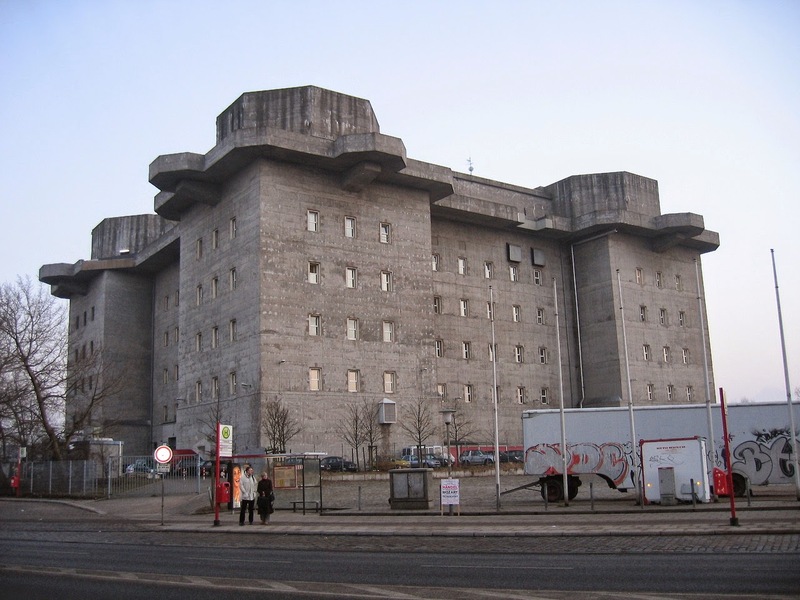 There is no question that Speer was Hitler's favorite architect, and certainly Speer became the most famous architect of the period in Germany. However, as an architect (as opposed to his tenure as Minister of Armaments and Munitions) Speer dabbled primarily in party projects such as building the parade grounds in Nuremberg. While Speer did make relatively small changes to Berlin, including installing street lights that remain in the capital to this day, most of Speer's planned post-war "Germania" reconstruction remained only a dream. The Todt Organization, which Speer eventually oversaw, built the flak towers, but Speer had little to do with their design. Friedrich Tamms, appointed by Hitler personally to a professorship, designed the flak towers. 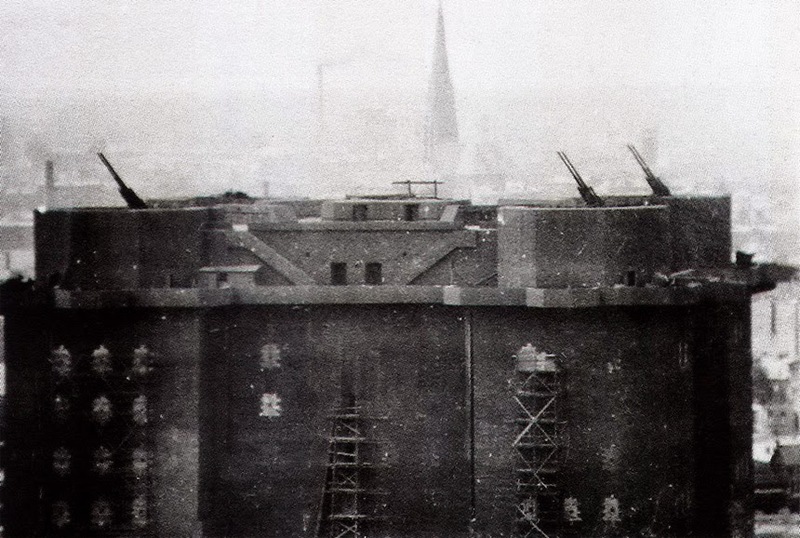 Flakturm VI – Wilhelmsburg, Hamburg - in 1943. Part of this Flak Tower was demolished after the war, while the remaining damaged portion is strictly off limits. While the exterior walls appear to be structurally sound, the interior was badly damaged during futile efforts to demolish it in 1947. 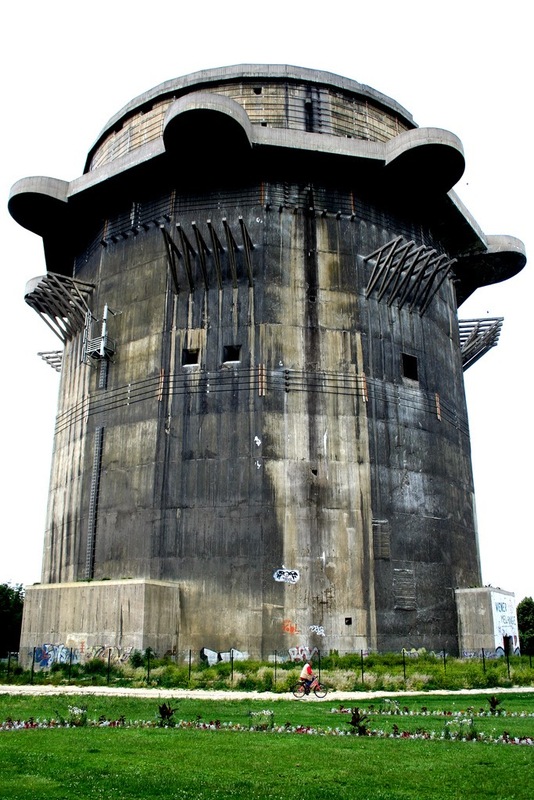 Tamms planned a total of eight flak towers for Berlin, Vienna and Hamburg, and those are generally considered "the" flak towers. 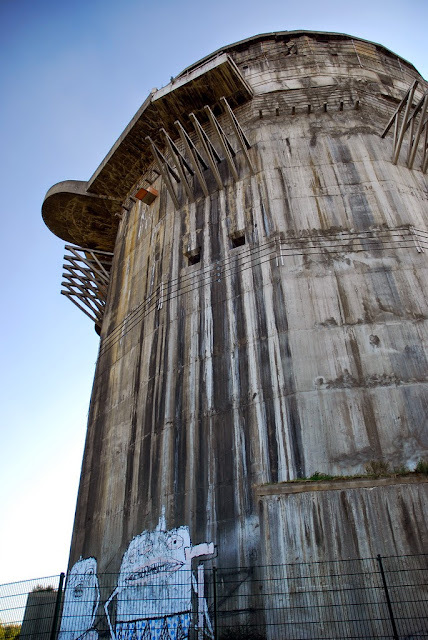 Tamms came up the medieval design of the flak towers, which proved phenomenal in terms of survivability though a tremendous strain on resources. 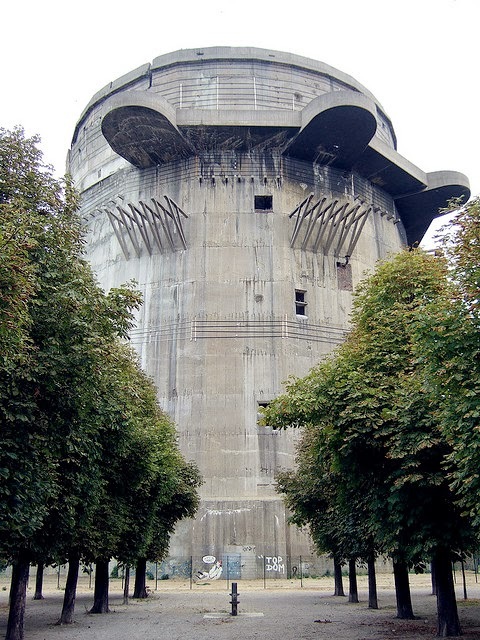 In fact, the flak towers' greatest purpose turned out to be as bomb shelters (and later temporary refuges from the Soviets) rather than useful military installations. If Hitler had known that, he probably wouldn't have wanted them.They are, however, Hitler's grandest remaining architectural effect. 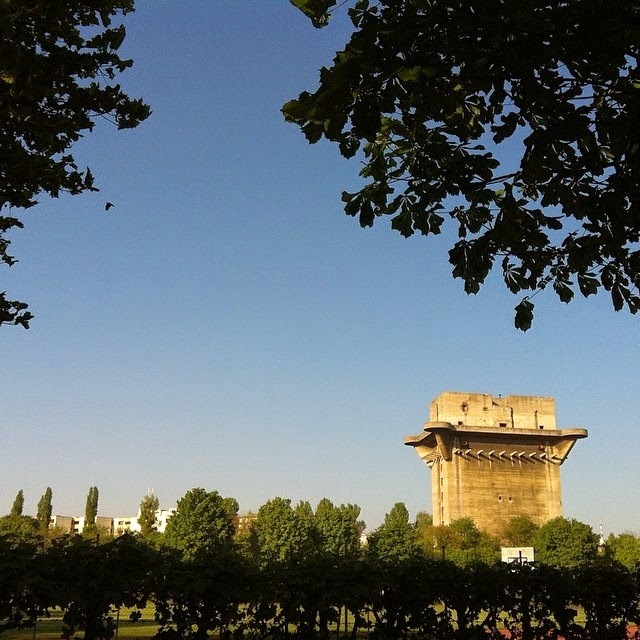 The big flak towers in Berlin and Vienna certainly get a lot of attention because it is impossible to miss them. The mere fact that they survived is enough to draw attention to them. Since it was not worth going to the great lengths necessary to destroy them, they were left intact, though various lengths were taken to make them less visible (at least one was buried in rubble to form an artificial hill in Berlin). It is easy to laugh off the flak towers as an aberration, a product of Hitler's grandiose ambitions and misplaced priorities. 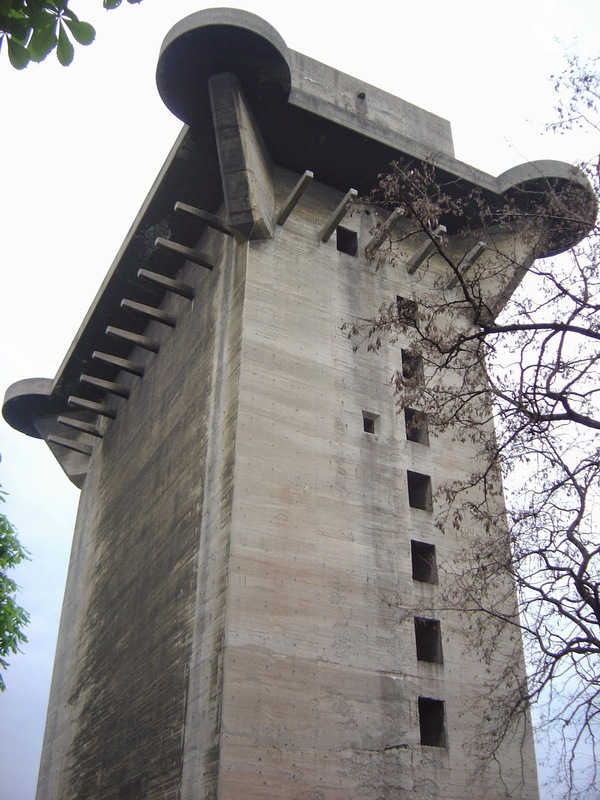 However, while the flak towers' actual utility to the German war effort is highly debatable - their effect on the bomber raids was minimal, and they proved completely useless during the Allied invasion - they presaged and in a sense influenced, or at least foreshadowed, the Brutalist architecture of the 1950-1970s. Reinforced concrete structures became quite fashionable during the post-war era due to the various benefits of working with concrete. 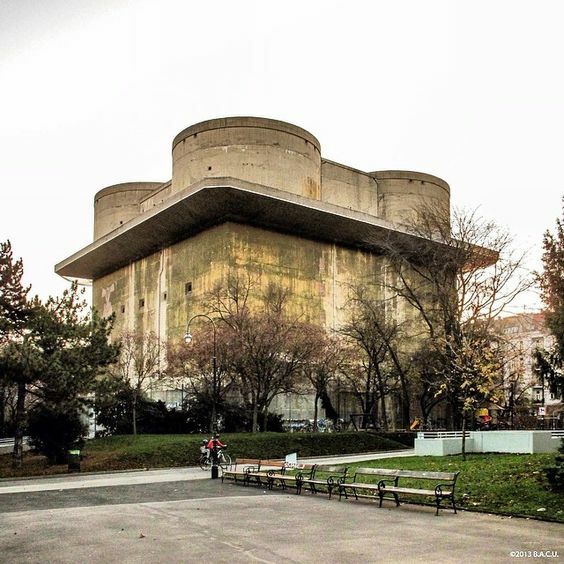 While they were not quite as monolithic as the flak towers, the Brutalist style certainly echoes the flak towers' monumental appearance and endless vistas of concrete. Flakturm VIII G-tower, Arenberg Park, Vienna, Austria, Friedrich Tamms of Organisation Todt (©B.A.C.U). There are other flak towers that were more successfully hidden, and in fact are just being located today. 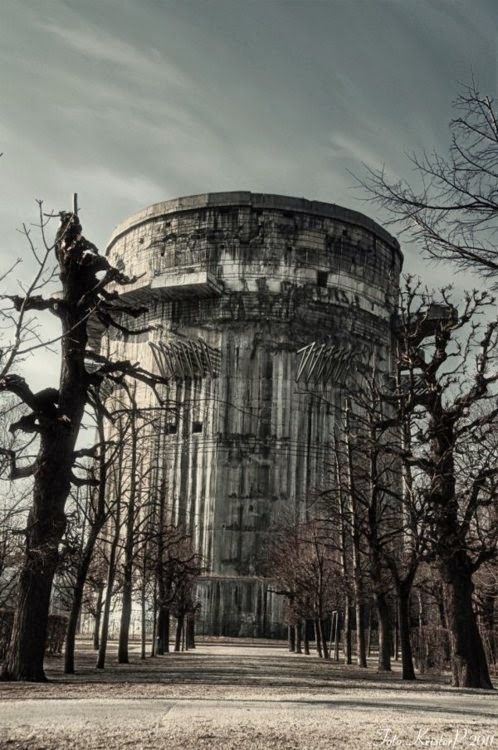 In Romania, flak towers were built to protect the oil fields from the massive Allied bombing raids of 1943 and 1944. One or more of those remain virtually intact, but they are almost unknown. They were smaller than the massive towers in Berlin and Vienna, but still impressive structures. The post-war authorities successfully camouflaged them as residential buildings. They they sit today, innocuous and potentially lethal, military structures in the midst of ordinary neighborhoods. 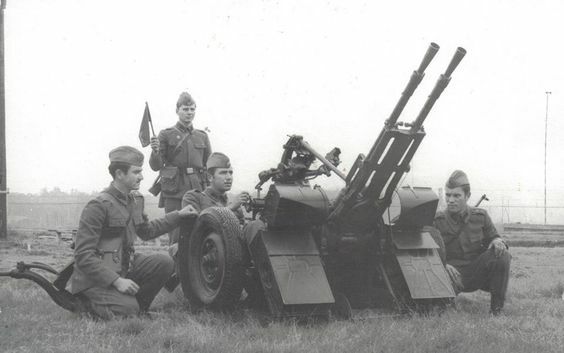 Romanian soldiers manning a ZPU 2 anti-aircraft machine gun. 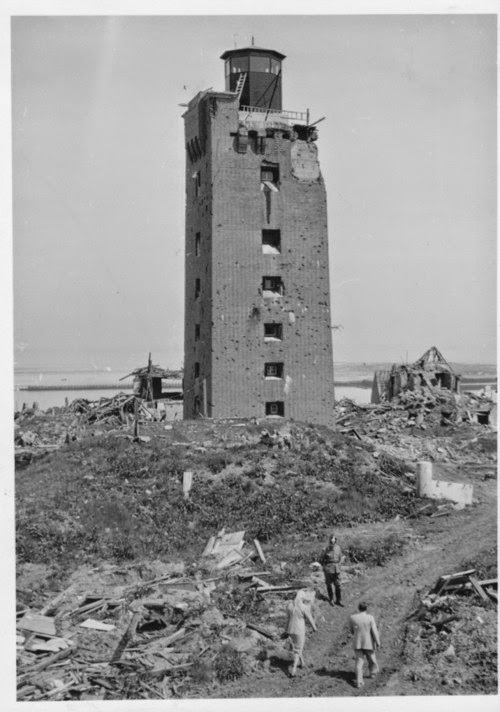 One such flaktower is south of Constanta City in Romania. It was part of the Elisabeth coastal battery. It appears to have had a dual purpose of air defense and also land defense, as a pillbox. I don't know much about it, but it shows why there are so many explorers (just look on youtube!) who seek out World War II structures. There is still a lot there to re-discover, sometimes hidden in plain sight. 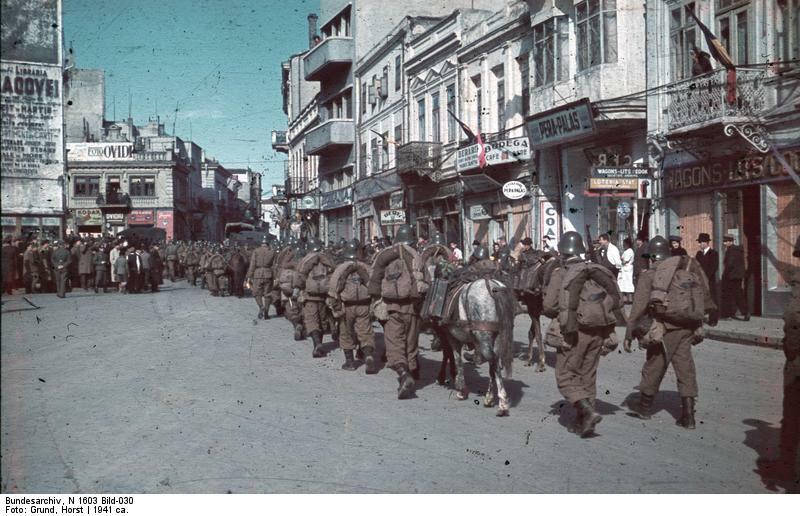 Romanian soldiers marching through Constanta, Romania ca. 1941 (Grund, Federal Archives). 6 batteries of 105 mm guns, located in places like Tuzla, La Vii (yes, another one), Cap Midia, Mamaia Sat, Carmen Sylva (nowadays Eforie Sud), Constanta City. 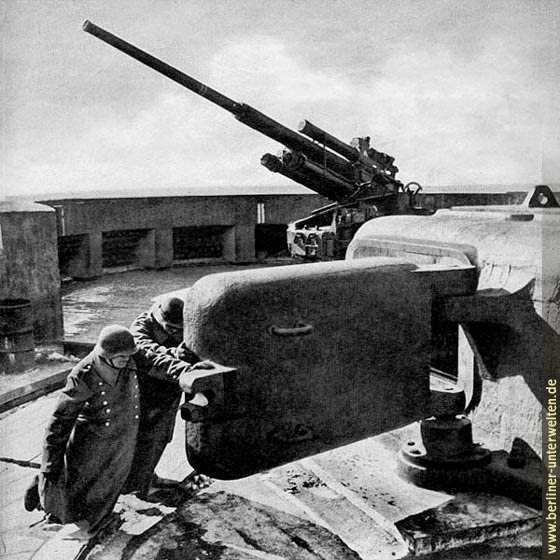 The Tirpitz battery was commissioned on March 22, 1941. The first salvos were fired in April, in the presence of the Minister of Defense, Iosif Iacobici. 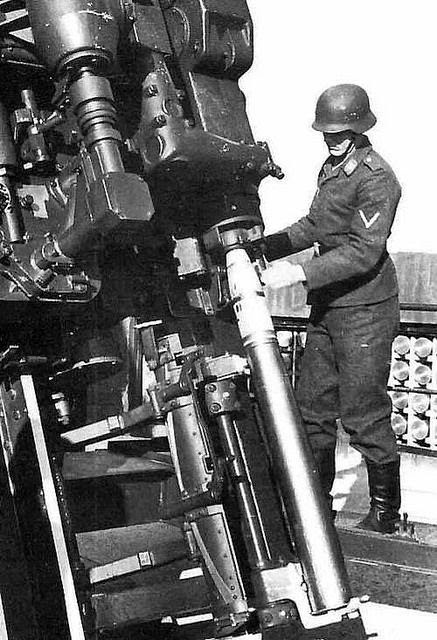 A German soldier aiming a MG 13 machine gun. 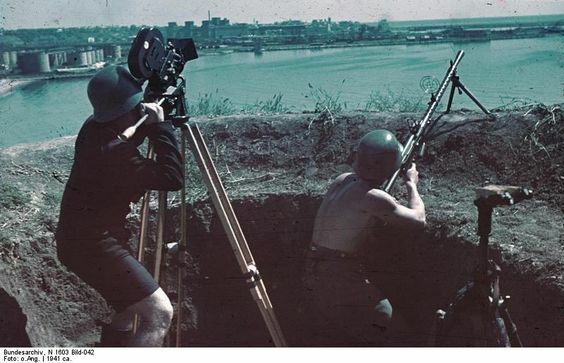 Filmmaker Horst Grund is shown operating his camera, Constanta, Romania, circa 1941 (Grund, Federal archive). The battery is located in the south of Constanta City, in the area known back then as “La Vii” (The Vineyards). That, roughly speaking, is where the disguised flak tower still sits, but I do not have a specific location or pictures for it. 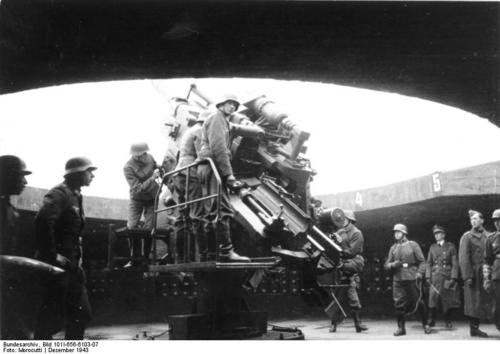 German troops test the readiness of a 10.5 cm FlaK 38 anti-aircraft gun on the Berlin Zoo Flak Tower. Flak Towers guarding a marine base at Angers, France. 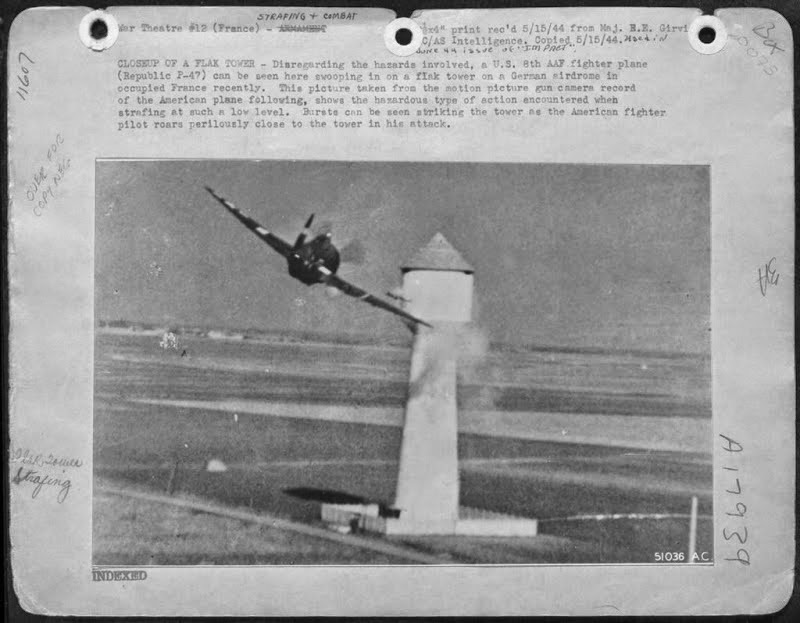 A P-47 Thunderbolt takes on a German Flak Tower guarding a French airfield in occupied France. 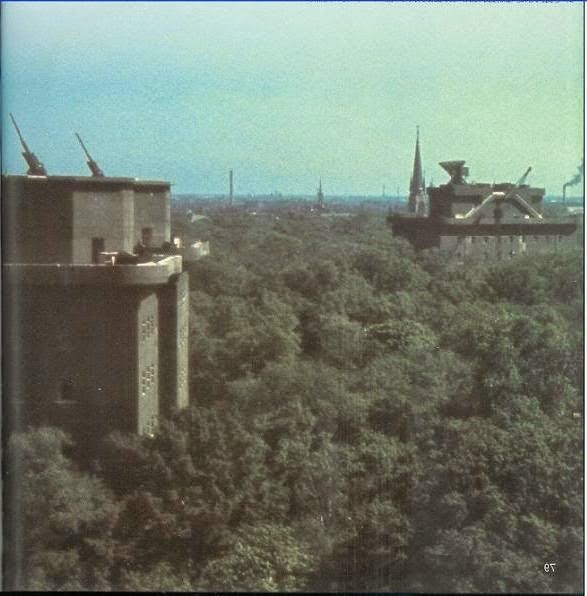 Interesting, I had never heard of that flak tower. Going to do a little research on it and see what I can come up with, thanks.